"Delighted to hear that Alex Cruz will become the new CEO of British Airways, succeeding Keith Williams next year. A brilliant airline leader, hugely popular in the industry with a steadfast strategy of adapting fast to a changing market. Emerald Media are very proud to have supported him both at clickair and Vueling through to the IAG takeover. Congratulations Alex." International Airlines Group has announced that Alex Cruz is to replace Keith Williams as chairman and chief executive of British Airways in April 2016 when Keith retires after 18 years at the airline. Alex Cruz is chairman and chief executive of Vueling currently. In his new role, he will continue to report to IAG chief executive Willie Walsh. In addition Steve Gunning, the current chief executive of IAG Cargo, will become chief financial officer at British Airways, replacing Nick Swift who is leaving the airline to pursue other opportunities with everyone's good wishes. Commenting on the new appointments, Willie Walsh, IAG chief executive, said: "I would like to thank Keith Williams for all that he has achieved at British Airways. It has been a great personal privilege to work with Keith for the last 10 years. Keith is not only British Airways' executive chairman, he was fundamental to the creation of IAG. IAG is as much his legacy as is his leadership of BA." "Under Alex Cruz's leadership, Vueling has become a dynamic, innovative and cost-effective airline and Alex will bring new experience and insight to British Airways. Steve Gunning will return to British Airways to support Alex as chief financial officer. He has been highly effective in setting up IAG's first ever single business unit at IAG Cargo. The business is industry-leading with a ground breaking operating model and cost focus." 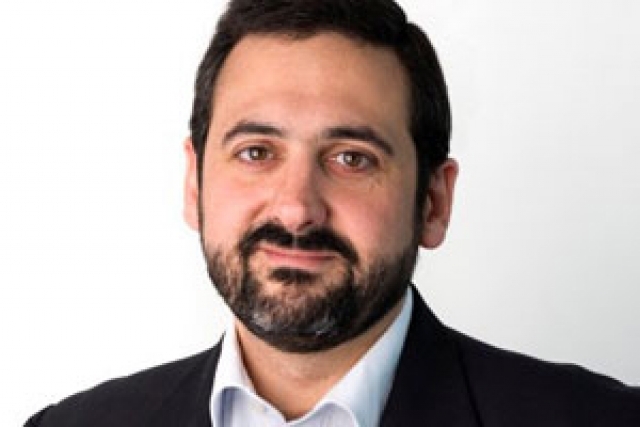 Alex Cruz said: "I'm delighted to accept the role at British Airways and look forward to working next year at one of the world's largest and most iconic airlines. The challenge at British Airways is to continue providing excellent customer service while ensuring that we meet the financial targets that IAG sets for us. I would also like to thank everyone at Vueling for all that we have achieved together and I know that the airline will continue to go from strength to strength." Alex Cruz founded Spanish airline Clickair in 2006 which merged with Vueling in 2009 when he became chief executive. Vueling became part of IAG in 2013. Alex began his career at American Airlines where he worked for 10 years before undertaking management consultancy roles focusing on projects in the airline and travel industry. He is from Bilbao and lives in London. Steve Gunning is a chartered accountant who joined British Airways in 1998 after working as a senior manager at PriceWaterhouseCoopers. He worked at the airline as finance director and head of internal control until becoming managing director of British Airways World Cargo in 2007. He led the creation of IAG Cargo, which combined British Airways and Iberia cargo into a single business, in 2011. Announcements about the new chairman and chief executive of Vueling and new chief executive of IAG Cargo will be made in due course.